Hello everyone! I feel like it has been forever since I've posted. I've recently been ill these past few weeks and haven't have the energy to post anything. 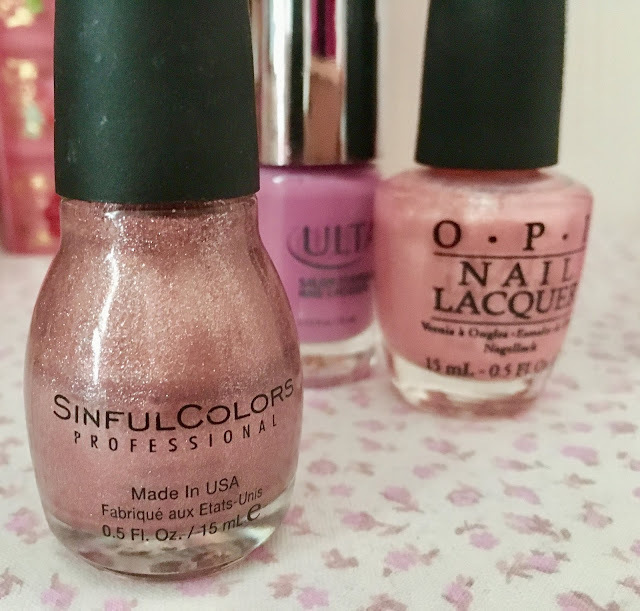 Since we're nearing the end of Spring I wanted to share with you the nail polishes I've been wearing all season long. 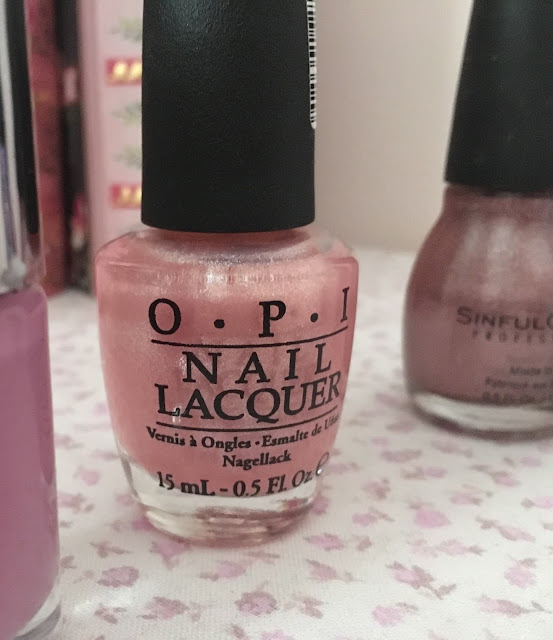 OPI Nail Lacquer in Princesses Rule! I love this shade so much. It's a beautiful blush color with little golden shimmer particles. This looks stunning when your outside, you can really see the shimmers reflect and glisten. This is my ideal spring nail shade. 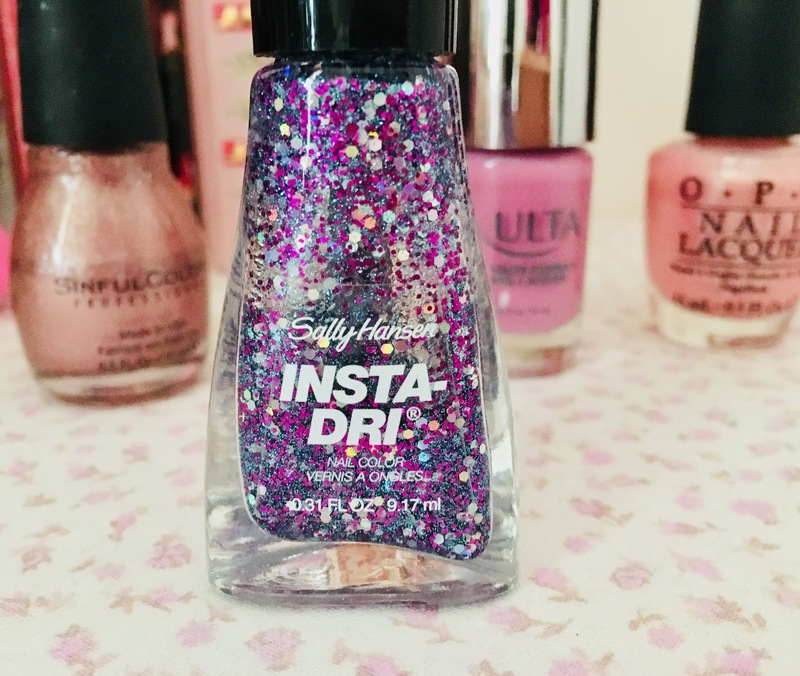 I love lighter, pastel, sparkly nail polishes in the Spring-Summer and this is perfect! It's the most dazzling color! This nail polish is such a bold color. I do tend to wear more neutral/lighter nail polishes but this one is beautiful. It has really chunky blue, purple, and pink glitters in it. When this catches the light it's like a disco ball! I love wearing this when I feel like I want more color or want to make more of a bold statement. This formula also is really amazing because it dries in no time. This shade is the most gorgeous rose gold. I have an obsession with rose gold and when I saw this I literally couldn't take my eyes off of it. Now when I wear my rose gold jewelry it matches with my nails! Haha! It's such a fabulous nail polish. I love the formula because it's so opaque. You only need one coat. This is one of my absolute favorites. 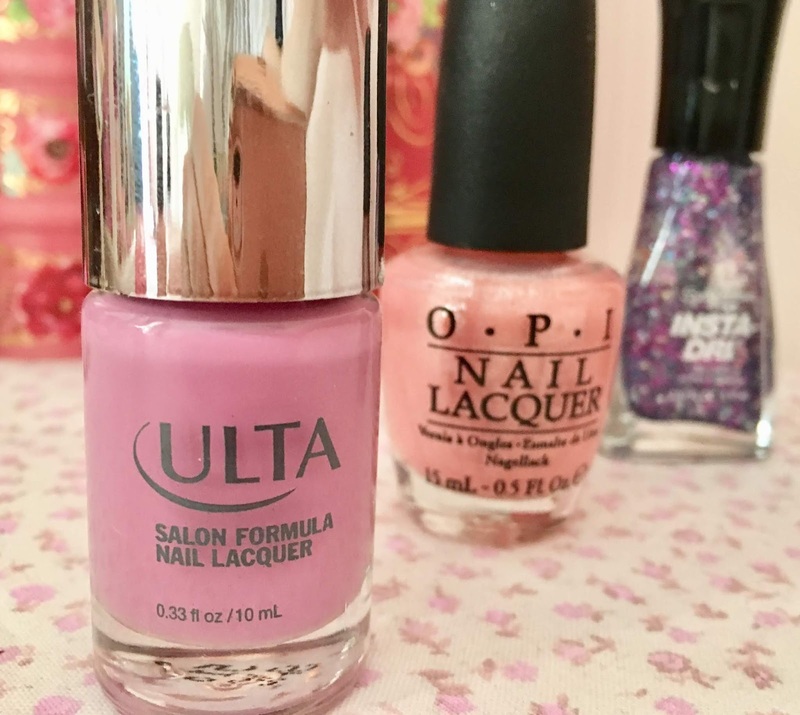 Since purple has been such an important color in the Springtime this year I decided to pick up a violet nail polish while I was in Ulta. I love this shade. It doesn't look like the same color online. It's more of a subtle violet shade while the online one looks very bright and cool toned. I love how it's still pastel but really colorful too. Such a unique and pretty shade. As you can tell I'm a really big fan of Sally Hansen. The formula looks amazing on your nails. It looks like you just got your nails done at a professional salon. It also is really easy to apply because the wand is so thick/big. I love this bright pink-purple color. It's just such a fun shade! 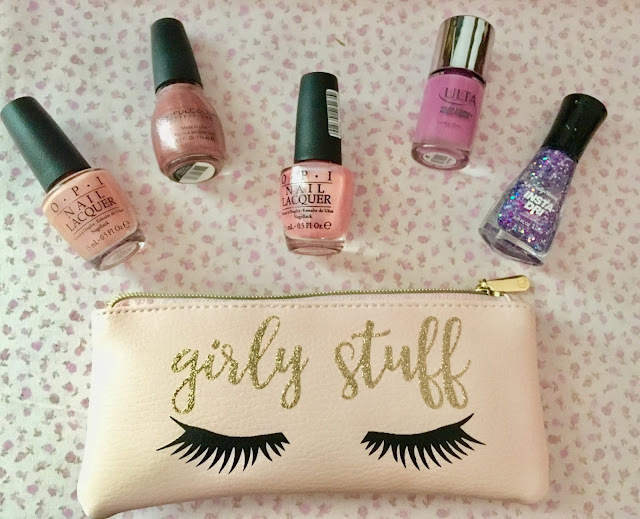 Those are my favorite nail polishes I've been wearing all this Springtime. Please leave a comment to let me know what your favorite nail polish has been this season or which one was your favorite of mine. Please remember to share this post. I'll see you next week for another post!